Just before we flew to Computex 2017, we attended the AWS Masterclass on Artificial Intelligence. It offered us an in-depth look at AI concepts like machine learning, deep learning and neural networks. We also saw how Amazon Web Services (AWS) uses all that to create easy-to-use tools for developers to create their own AI applications at low cost and virtually no capital outlay. 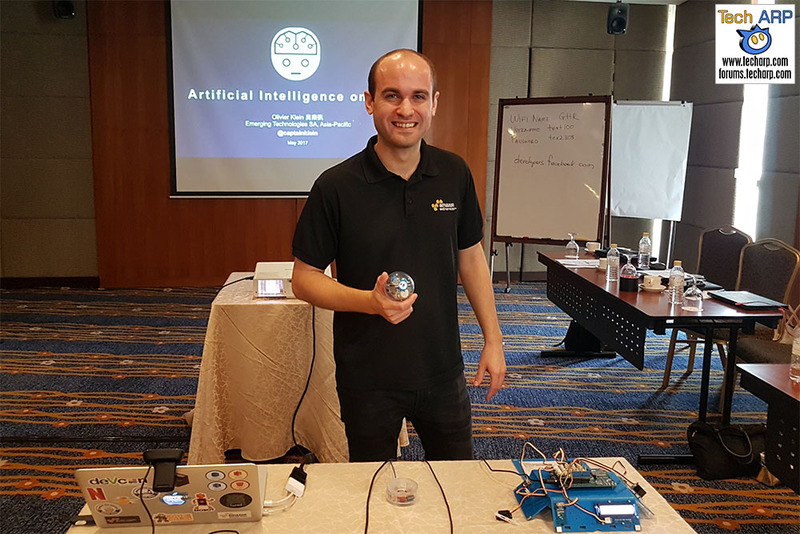 AWS Malaysia flew in Olivier Klein, the AWS Asia Pacific Solutions Architect, to conduct the AWS Masterclass. During the two-hour session, he conveyed the ease by which the various AWS services and tools allow virtually anyone to create their own AI applications at lower cost and virtually no capital outlay. The topic on artificial intelligence is rather wide-ranging, covering from the basic AI concepts all the way to demonstrations on how to use AWS services like Amazon Polly and Amazon Rekognition to easily and quickly create AI applications. We present to you – the complete AWS Masterclass on Artificial Intelligence! AWS Cloud and An Introduction to Artificial Intelligence, Machine Learning, Deep Learning 15 minutes An overview on Amazon Web Services and the latest innovation in the data analytics, machine learning, deep learning and AI space. The Road to Artificial Intelligence 20 minutes Demystifying AI concepts and related terminologies, as well as the underlying technologies. Let’s dive deeper into the concepts of machine learning, deep learning models, such as the neural networks, and how this leads to artificial intelligence. Connecting Things and Sensing the Real World 30 minutes As part of an AI that aligns with our physical world, we need to understand how Internet-of-Things (IoT) space helps to create natural interaction channels. We will walk through real world examples and demonstration that include interactions with voice through Amazon Lex, Amazon Polly and the Alexa Voice Services, as well as understand visual recognitions with services such as Amazon Rekognition. We will also bridge this with real-time data that is sensed from the physical world via AWS IoT. Retrospective and Real-Time Data Analytics 30 minutes Every AI must continuously “learn” and be “trained”” through past performance and feedback data. Retrospective and real-time data analytics are crucial to building intelligence model. We will dive into some of the new trends and concepts, which our customers are using to perform fast and cost-effective analytics on AWS. In the next two pages, we will dissect the video and share with you the key points from each segment of this AWS Masterclass.